Starting a new business can be a daunting experience. However, it is the best way of securing your income for the future. Working for other people will mean you never take the lion’s share of the profits. When you are the boss, you are in control of everything. The tips and ideas on this page should help you to navigate the corporate minefield. At the end of the day, there are things that can and do go wrong. You just need to limit the chances of that happening by increasing your education. Learn from your mistakes, and always look for the best information. There are thousands of good articles and books available online. Keep learning and growing. The tips and ideas you’re about to read cover some of the basic elements of running your business. There is not enough time to cover every aspect of the world you’re about to enter. Even so, you’re going to learn a lot during the next few minutes. 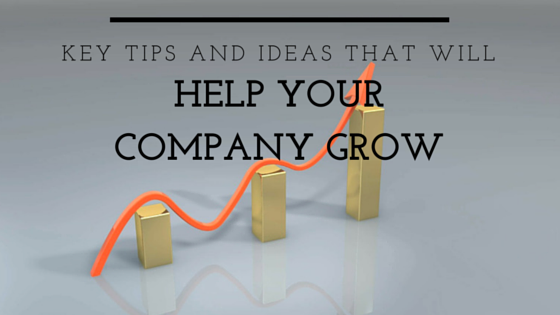 Knowing how to grow and expand your company will stand you in good stead. It is critical that you create a detailed and professional business plan before starting out. You can employ the services of professionals if you need a hand. However, there are lots of free templates available online. Your business plan will help you to attract investors. It will also help you to determine the processes within your company. It’s important you also include a basic growth strategy. Work out how much profit you will need to make before you can afford to employ staff. Also, you’ll need to know at which point you should move to larger premises. Your business plan should include as much information as possible about your new venture. You’ll want the best staff possible so your business can succeed. There is no point employing people who are not 100% dedicated to your venture. That is why you must design an effective interview process. Try to make sure you learn about the individual and see if they are a right fit for your company and culture. Their CV might look good, but that doesn’t mean they will go the extra mile. In some instances, it might make sense when starting out, to offer jobs to people you know. Maybe you have some friends or family members who need work? They are more likely to show commitment and work hard than someone who has no interest in your brand. Depending on the nature of your business, the location could be important. Companies that trade online don’t have to worry so much. However, those that rely on real-world trade need to think hard. Ideally, you should base your operation in a major city. The address will help you to appear more professional. It should also encourage your customers and clients to feel more trusting. Of course, you’ll always pay more for the most desirable premises. So, you need to factor that into your business plan. It is possible to rent addresses in places like London and New York if you think it will help. There are lots of reasons you might need a solicitor moving forward. People who plan to trade overseas will need to ensure they don’t break any laws or regulations. You might also want legal assistance when it comes to the employment process. It’s vital that your contracts are created by someone who understands the rules. Also, you never know when someone might take you to a tribunal. Employment tribunal representation is critical in that instance. Without expert help, your company could end up paying thousands. Decent legal professionals will perform all the hard work. They will also make sure the issue does not impact on the success of your operation. Growing your business will mean you need lots of new customers and clients. Finding them in the real world can be tough. Most suitable people are probably spread out over a large area. So, you need to use the internet wisely. It is possible to reach millions of potential customers and clients very quickly using online services. Facebook and other social media websites such as Twitter are a good place to start. Learn the benefits of each social media platform and how you can use the paid advertising tools that they offer to your advantage. Likewise, Google Adwords is a good option if you want to promote a website too. The tool will help to guarantee the right people see your ad. Whichever social channels you chose to use, make sure that you are consistent in your efforts and work on building relationships. Reassessing the way you do business is always a good idea. The corporate world now changes on a daily basis. So, the profitable ideas of today might become redundant tomorrow. Make sure you always look at the latest information and see how it affects your company. Maybe you need to make changes to your ordering process? Perhaps offering a different means of delivery would boost sales? You need to keep your ear to the ground to ensure you can act on the most relevant findings. Make the changes before your competitors, and you’re onto a winner! Offering more products and services to your customers is always sensible. You never know when the ones you provide at the moment will become unpopular. Putting all your eggs in one basket is never sensible. As you grow, you’ll need to expand your range. That could mean paying expert design teams to come up with new items. It could also mean employing the services of more outsourced freelancers. Only you know the best moves for your company. These are just some basic ideas. So long as you put those tips and ideas into practice, your company should grow nicely. Always remember where you started, keep learning and never get too big for your boots. When all’s said and done, clients want to do business with someone trustworthy, who offers good value for money. A good reputation is the best promotional tool at your disposal. Build one, and then use it to your advantage. Finding the right workers is probably the hardest challenge in the list.